When the Nextbit Robin was released earlier this year, I purposely held off on review it. My logic was two fold. First, at $399 I felt for what the phone had to offer, it was over priced. I appreciate it has some unique features and by buying it you are supporting a new American-based startup, but facts-are-facts. The current price of $299 feels a bit more accurate. Second, I knew that it would have issues. And it did. The initial build of Android running on the Robin was buggy with numerous reports of the camera being poor and slow and battery performance to match it. Fast forward seven months and the world is a much happier place for the Nextbit Robin. The price is down to where I think it should be frankly (and it has run as low as $199 on Amazon a couple of times which is an absolute steal) and after a couple of major updates that included a bump up to Android Marshmallow, the Robin is now a solid performing phone that has great features. I’ve been using the device as my primary phone over the course of the last few weeks and I have no hesitation in recommending it if you are looking for a well appointed handset that is in the low cost/budget category. In fact, for what it has to offer, you will be hard pressed to find an equally well appointed phone. Here’s my review. hit the sweet spot. It is powered by the Snapdragon 808 processor running at 2GHz and coupled with the Adreno 418 GPU. It has 3GB of LPDDR3 RAM coupled with the processor which gives a nice, snappy feel to the Robin during use. Storage wise you have 32GB available on the device along with 100GB in the Nextbit Smart Storage, a feature I’ll cover in more detail later in the review. 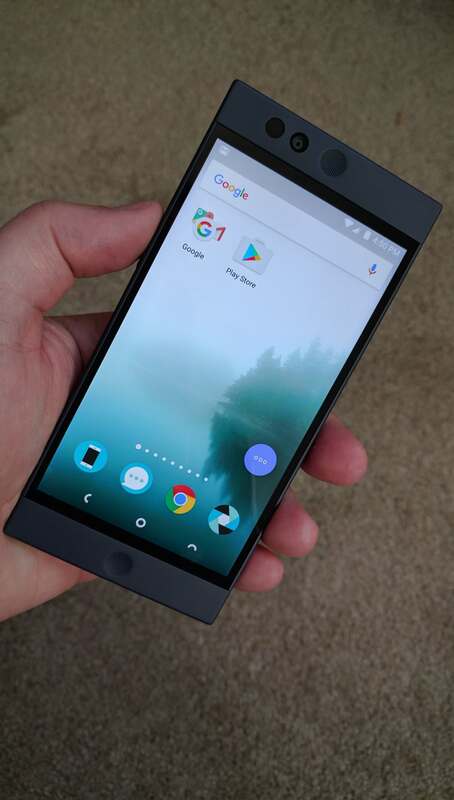 The Display of the Robin is a 5.2″ renders at 1080 x 1920 Full HD resolution which gives you approximately 423 PPI. That makes the flat screen of the phone easy on the eyes when viewing for a long period of time. The display is protected by Gorilla glass 4. Camera wise, the main camera is a 13MP unit with phase detection auto focus and a dual-tone flash. On the front you have a 5MP camera that is wide angled to give you a good selfie image. Rounding out the connectivity for the device, it supports the Bluetooth 4.0 LE standard and has 802.11 a/b/g/n/ac support as well. Other key features of the Robin include a fingerprint sensor for authentication, NFC support for Android Pay, Quick Charge 2.0 support, a USB Type-C connector, a 3.5mm headphone jack and dual front facing speakers which are dual amplified. For the price point of the Nextbit Robin, it is well appointed and has all of the features that you would expect from a mid-range phone. What I particularly like is that the phone uses the new USB Type-C. This is rapidly becoming the new standard and it is good to see a 2016 released phone have it – as it should. The smartphone world is full of devices that are curved displays, curved bodies and rounded edges. The Nextbit Robin however is the opposite. It is a rectangle – literally. There is no curved glass and only softly rounded edges on the corners of this rectangle. The back is completely flat as are the side edges. It is well and truly a rectangle but it feels great when you hold it. It feels natural and it feels like you have something to hold on to when you have it in your hand. I can’t necessarily say that for my slippery Nexus 6P. The phone measures 149 mm tall by 72 mm wide and is only 7 mm thick. In old money, that’s 5.86″ x 2.83″ x .27″. You’ve probably already put together in your head that at 5.86″ wide, the 5.2″ display is likely going to dominate the front of the Robin and it does. Along the length of the screen there is hardly any bezel to be seen while above and below the screen you will see the two front facing speakers (one at the top and one at the bottom in the center on each side) and at the top the front facing camera along with the auto focus sensor. All of these are round and contrast nicely against the squareness of the Robin itself. These basic shapes of circles and rectangles work well together and give the Robin its unique look. On the right side of the Robin you will find the power button for the device. This also acts as the fingerprint sensor for unlocking the phone and authenticating purchases when it is configured. Frankly I think it is a touch of genius having the power and fingerprint scanner all-in-one. It saves you from having to touch anything else but this button to get into your phone. On the left side you will find the two circular volume control buttons which again, fit well in the overall aesthetics of the Robin. On the bottom of the phone you will find the USB Type-C connect for charging and next to it is a small LED that lights up when the phone is being charged. There is also a small microphone pin hole next to the USB port. On the top edge of the phone you will find the SIM tray (nano-SIM) and the 3.5 mm headphone jack. Finally, on the back, you will find the rear facing camera and dual-tone flash in the upper left corner while below that you will find the Nextbit cloud logo along with four LED lights. These lights indicated when your Robin is connected to the Nextbit Cloud and is backing up your information and apps. The whole design of the Nextbit Robin is beautiful minimalism. Every thing is there for a reason, everything has a purpose yet it isn’t over done. The phone has two basic shapes throughout: Rectangles and circles and they are laid out in a way that creates a harmonic look. In fact, as you look through the photos of the Robin in this review, you will notice that every circle is in pairs. It is symmetry and it works. That minimalism also makes its way into the the packaging of the phone. There is nothing wasted. It is a book-style box and when you open it up, the Robin along with its USB cable and SIM Pin are there. That’s it. Instructions on what to do (like insert your SIM into the phone) are printed on the inside of the “book” box and your warranty information and support information is printed on the back of the “book”. Clean, simple and environmentally friendly. In fact, you’ll notice that an AC wall adapter to charge your phone and headset is not included in the box. Why? Nextbit figures this isn’t your first phone and you have those laying about already. Nextbit provides for free. How the Robin uses this cloud storage is unique. First, it does what you would expect in that it backs up your photos and data so if you have to reset your phone for some reason, that is safe and secure in the cloud. The Smart Storage uses your Google account information so no need to try to remember yet another account and password. Secondly, it learns how you use your Robin and systematically backs up apps and their data to the cloud to free up space on your phone. Let’s say that you have an app that you haven’t used in a long time (3 months). Robin will figure out that you haven’t used it and will back it up to the cloud and remove it from your phone. This frees up the space on your Robin. These apps are greyed out on your screen so you know they are there but not physically on the device. Fast forward a bit and you need that app again. All you have to do is simply tap the greyed out icon and the app will be reinstalled on your phone, with its data, as if it never left the device. All this happens within a few seconds. It is a unique way of handling the seemingly endless challenge of having enough device space and it works really well. It is, however, an area that could use some improvement. It would be good, for example, to have the ability as a user to select an app and have it stored in the cloud and not on my device. Almost every Android manufacture has their own launcher and Nextbit is no different with the Robin. 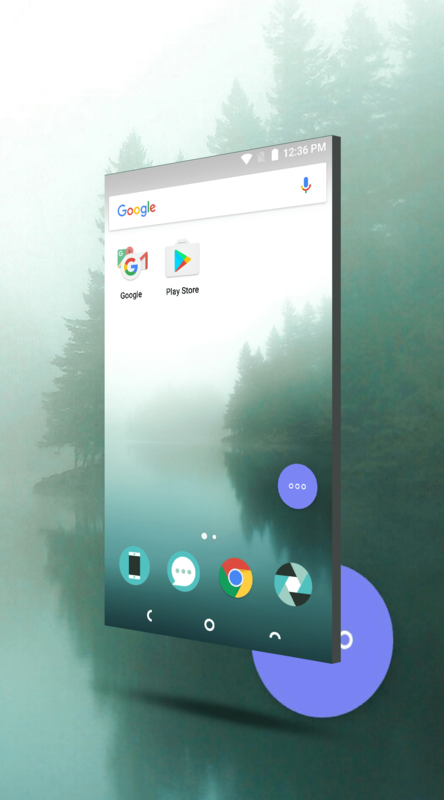 The Nextbit Launcher is not bad and while you don’t have the level of customization you can do with say the Google Now Launcher, it does made the phone easy to use, especially for those who have never had an Android device. The launcher is a typical Home screen layout with pages for your apps which you can put into folders by holding-and-dragging icons on top of each other. This can simplify life once you get the hang of it. Omnipresent on the purple menu dot on each page of the Home screen. Tapping this gives you three options. 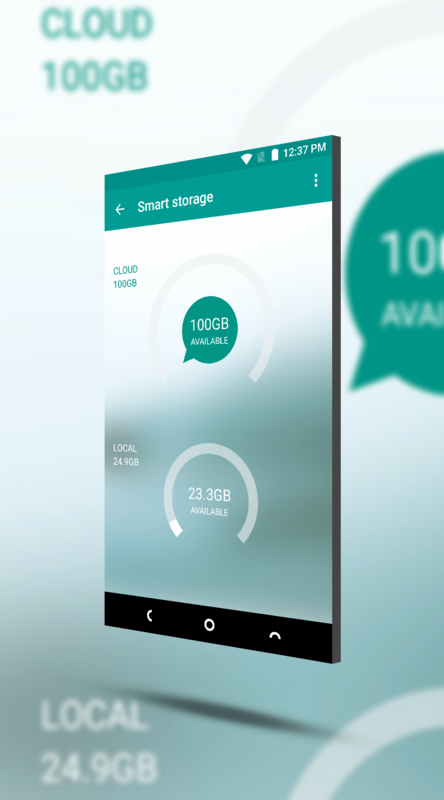 First, it can show you all of the apps that you have archived in Smart Storage. This can help you quickly find an app, tap it and restore it. Second is your Pinned apps. These apps are those that you have designated on your Robin that you never want to be archived. To do this, tap then drag down on the icon of the app and you will get a notification that the app is now pinned. Finally there is the all apps which, as it suggests, is where you can find the app drawer for all the apps you have installed. In the Nextbit Launcher, there is not the traditional app drawer button at the bottom of the display. This multi-purpose button does the job for you. is very much like iOS. If you are coming to the Robin from an iPhone, this concept will feel very natural while long time Android users will find it frustrating. Personally, I’m okay with it as it is fitting a specific need that Nextbit is trying to hit: The converting iPhone user. For those who are power users or the Nextbit Robin is not your first Android phone, other launchers may be more suitable for you. My word of advise is don’t let the launcher get in the way of a great phone. You can always change it to fit your particular needs. Based on the Geekbench scores, you would think the Robin performed pretty poorly. On both the single-core and multi-core tests in the app, the Robin was well below devices released around the same time. However, in general day-to-day use, I didn’t find it to be problematic. The phone was quite responsive to touches and apps worked well. The only time that I ran into any lag issues was when I played Real Racing 3. That game is one I always test with because it is graphically intensive. The Robin was able to run the game but it struggled at times. Running every day apps like Gmail, calendar, Microsoft Office apps, Google Photos and the like were not a problem. If you are looking for a phone that you can game on, the Nextbit Robin may not be the best one to get depending on the game. If it is a graphically intense game, it may struggle. One of the big knocks on the Nextbit Robin when it was released was the camera performance. Not only was the photo quality less-than-great, the speed of the camera app itself was slow. Both of these issues have been addressed in subsequent software updates with the June 2016 update being a mighty step forward. My Robin is running that update and photo quality is what you would expect from a 13MP shooter. Colors are saturated and the photo quality is crisp. I found that shooting indoors and outdoors was not a problem with the Robin and it handled it well. I did however find the HDR setting to be a bit over powering on the saturation of photos. I would recommend using the HDR features in Google Photos and/or Snapseed if you want to add it to your photos. The dual-tone flash did a great job indoors and was not over powering of your photos. Video quality was also very good out of the rear camera. You have the ability to shoot full 1080p and I found the quality excellent. As for the front facing 5MP camera, it also did very well. Aimed at providing good selfies, the front camera did that job with excellent quality. The front camera also performed well on the video front. It too can shoot 1080p and I had several calls on Google Duo and Google Hangouts with it and found it to be up to the job. Overall from a camera perspective, the Nextbit Robin isn’t going to set the world afire but equally it isn’t going to fail. It does a good job on both cameras and produces some excellent quality photos. I will say it right now: The Nextbit Robin is the best audio quality phone I’ve ever reviewed. By a long, long while. The audio out of this phone is exceptional with clear, crisp high and low tones on a wide range of music genre. The speakers and amplifiers built into the phone were more than up to the task on music ranging from Iron Maiden to Acoustic Alchemy. In fact, I tweeted when I got the Robin that it made my Nexus 6P seem really poor on the audio quality. There are two main reasons why the Robin is so good at audio in my opinion. First is the technology. You have two high quality speakers at the top and bottom of the display that are amplified. This along gives you great audio quality but, in itself, is not unique. Many phones have dual amplified speakers. It is the second aspect that makes them work. That’s the design. Remember that Nextbit designed the Robin in a minimalist fashion using two basic shapes: Rectangles and Circles. Those speakers are two circles above and below the display. There is nothing in the way of the audio leaving them. There are no grills or other things to try to mask the speakers. The battery in the Nextbit Robin is capable of getting you through the day with no problem. Running every day apps, doing calls and watching streaming content from YouTube, I was able to get through an entire work day with about 10% remaining on my battery without any saving modes enabled. For comparison, my Nexus 6P can get through the day with about 20% left. To be fair, the battery is smaller in the Robin but it isn’t so much so that you are diving for power outlets as you are about to head home from the office. One of the interesting elements of the Nextbit Robin is how unlocked the phone comes out of the box. For sure, it is network unlocked meaning that it will work on any GSM carrier which is not really a new concept for Android owners. Nextbit, however, went a step further and actually unlocked the bootloader. That means that if you want to install a custom ROM like Cyanogen or Paranoid Android, you can easily do it. In fact, Nextbit has gone as far as not voiding the warranty on your phone if you install another ROM. That is a far cry from what other manufactures do, including Google. If you load up a new ROM, your warranty is pretty much instantly voided. I mentioned earlier in this review that Nextbit has aimed the Robin for those migrating from iOS to Android and I stick by that statement. But equally, the company is clearly trying to attract more advanced users who want to truly make the Robin their own in every way. They are not limiting this phone to any audience. Personally, I love this aspect of Nextbit. They are confident in their hardware and confident in their build of Android. If, however, it isn’t for you, no biggie. Load up what you want as far as an Android build is concerned and they’ll have your back. Nice. There is only really one thing to consider if you decide you want to load a custom ROM on your Nextbit Robin which is you will lose the access to the Nextbit Smart Storage. That is something that is unique to the Nextbit Robin’s native ROM. Overall I have been quite pleased with the Nextbit Robin and have no hesitation in recommending it for those new to Android or for those looking for a budget friendly but powerful phone. 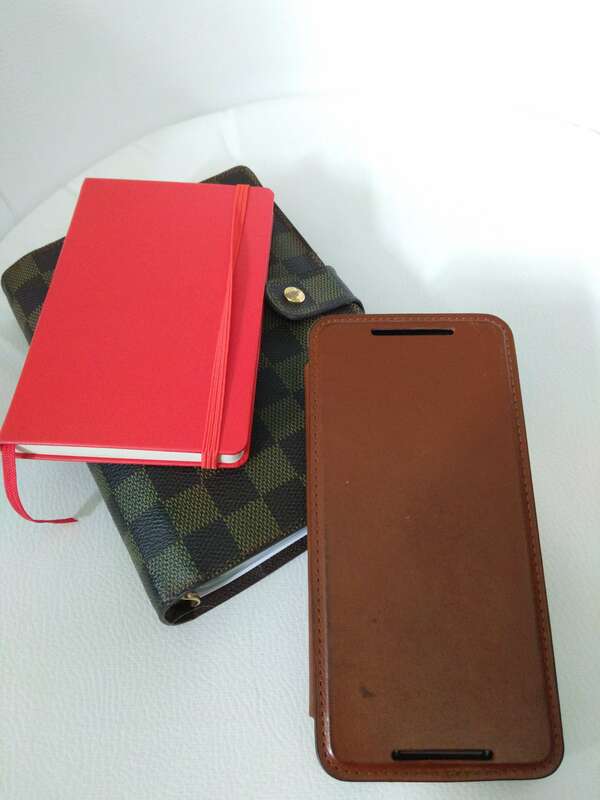 The design and aesthetics of the phone are unique but functional while the overall day-to-day use of the phone is able to keep up. The Nexbit Launcher is certainly usable and acceptable while the overall performance of the device will leave those wanting a gaming phone wanting for more. From a developer or modding perspective, the Robin is a great phone given that it is completely unlocked, including the bootloader. For more information about the Robin, be sure to visit the Nextbit website. There you can pick up the Robin (including the unique, Nextbit site-only Ember color) and you can pick one up on Amazon, usually at a slightly lower price.